The Guerrero Nahuatl are an Aztec indigenous group who have migrated from Mexico and who maintain their pre-Spanish conquest language and culture. The Nahua peoples were at one point the dominant people in central Mexico. Some of the most important Mesoamerican civilizations were of Nahua ethnicity, including the Toltec and Aztec cultures. Many Guerrero Nahuatl come from small poor rural farming communities and immigrate to the USA looking for increased economic opportunities to better the lives of their families and their communities of origin in Mexico. Families are frequently torn apart, as husbands typically immigrate first to find work, leading to separation from their wives and children, to whom they typically remit a significant portion of their wages. They tend to be hard working and found in jobs relating to service and agriculture. 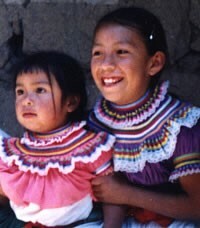 Their primary languages are Spanish and Guerrero Nahuatl, and children in the public school system in the USA are frequently bi or tri lingual. The primary religion practiced by the Guerrero Nahuatl is a form of Cultural Catholicism layered over their traditional religion, and is rooted in the reverence of santos, their ancestors, and spirits in nature. Their religion is expressed through traditional fiestas, rites, and customs. Pray for Guerrero Nahuatl believers to boldly proclaim the gospel to their people. Pray for more workers for the harvest, both for the Guerrero Nahuatl in the United States, as well as those in Mexico.